by Sam Parnia, M.D., Ph.D. The title of this book is a question that's been posed for centuries. No one really knows for sure, and if you posed this question to a thousand people, you'd probably get a thousand different answers. Just the same when it comes to religion - many people believe their belief is the only one. How can it be? No one knows for absolute certainty. Hence all the religious wars. Ever heard the saying "Live and Let Live"? Makes sense to me. Most scientists believe things can be explained scientifically, and if not, it (God) therefore doesn't exist. Hence the discrepancies. 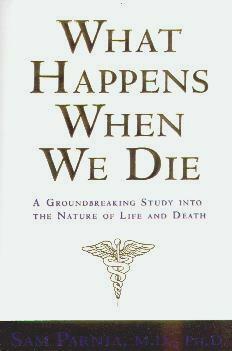 Dr. Parnia's book considers the scientific approach, and through his patients' personal experiences (who "died" and came back), has written this fascinating book. He studied reports of near-death experiences and found common links. He also studied various instances when brain function changed, to see if there was a link to an NDE, as well as what role religion played, i.e. "Would Christians have different NDEs from athiests and non-Christians?" I don't think so. If you read the case studies it's hard not to accept that there's not some element of truth. For example, I recall reading somewhere that, "I am the light", something nearly all patients said they saw. My opinion is that all possibilities are probable and are worth contemplating and not discounting outright. Only when we actually die will we know for sure. Although a rather technical book, it's easy to understand and written in what I term, "layman's technical style". Conclusion - Extremely interesting to learn about the medical aspects too.